As of 10am Thursday Brisbane’s South Bank store had not opened its doors, but it was believed it would resume trading later in the day. 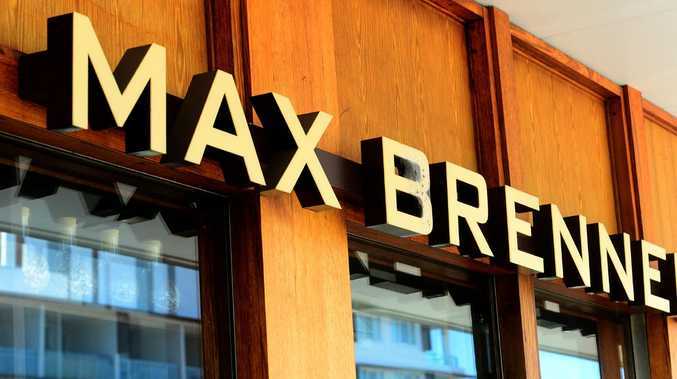 EMBATTLED chocolate café chain Max Brenner has been thrown a last-minute lifeline, but no word yet on whether creditors will see the millions of dollars they are owed. Yesterday BDO Australia were appointed liquidators to Max Brenner in Australia, with BDO's business restructuring partner Andrew Sallway today confirming investment firm Tozer & Co had acquired the licence for Max Brenner in Australia. But employees have been left in confusion about the company's fate, with internal emails circulating last night showing managers were urging staff to turn up for their rostered shifts today. As of 10am Thursday Brisbane's South Bank store had not opened its doors, but it was believed it would resume trading later in the day. Last Monday 20 of the company's 37 sites ­- including nine in Queensland ­- were closed, with about 250 employees immediately losing their jobs. Employees were reported to be owed at least a month's wages, as well as up to 18 months in superannuation payments, with creditors owed about $33 million in total. Tozer & Co is the family investment firm of David and Craig Tozer. The latter is on the board of restaurant business Craveable Brands, which operates more than 600 franchised restaurants including Red Rooster and Oporto, while David Tozer is a former owner and investment banker with Houlihan Lokey Australia. Tozer & Co managing director David Tozer said the firm was "delighted" to acquire Max Brenner in Australia. "In conjunction with the Franchisor, we are excited by the prospect of investing, growing and developing a highly successful business," Mr Tozer said in a statement. "The brand has a rich history across the world and also within Australia."